It may be the oldest motivator in sports, but one that once again proved should not be overlooked. Going into Sunday’s AFC Divisional game against the Steelers, the Jaguars – who haven’t been to the AFC Championship since 1999 – felt disrespected. And within minutes after kickoff, the Steelers saw how that motivation could play out on the field. The Jaguars, who sacked Ben Roethlisberger twice and rushed him throughout, opened a 21-0 lead before Pittsburgh could figure out what was going on. The Patriots would be wise to take note when they host Jacksonville for a trip to the Super Bowl on Sunday. The Jaguars performance is having an uneven affect on ticket prices for the AFC Championship – according to data from TicketIQ.com, the get-in price for Sunday’s game has risen 7.5 percent since the Jags’ victory, but the average ticket price has dropped 8 percent. Fans can buy a ticket to get into Gillette Stadium for $440, but the average ticket price is $805. While that number dropped after Jacksonville’s victory, it represents a 227 percent increase over the cost of a ticket to the Patriots AFC Divisional game against the Titans last Saturday. 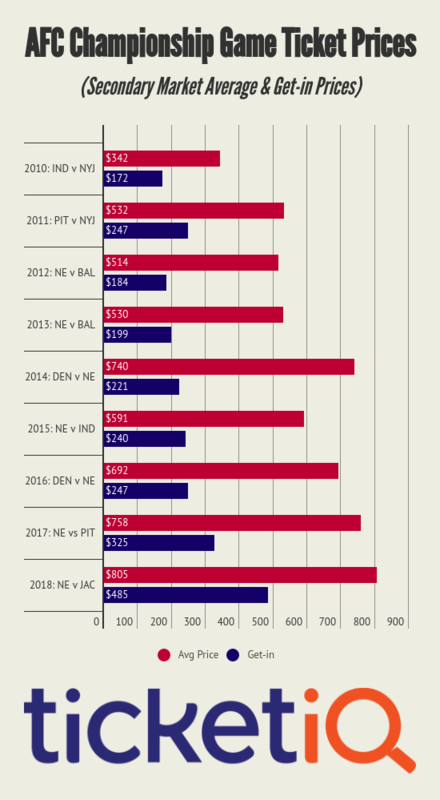 The average ticket price is the highest for an AFC Championship since TicketIQ.com began tracking data in 2011, but is only the fourth most expensive during that span. The priciest Conference Championship ticket in the last eight years was $932 for the 2011 Packers-Bears NFC Championship. The second most expensive is this season’s Vikings at Eagles game, for which the current average asking price is $875. The Packers-Seahawks 2015 NFC Conference Championship clocked in at $854. Not surprisingly, the top two most expensive AFC Championships since 2011 have involved the Patriots – next weekend’s game ($805) and last season’s match-up against the Steelers, which settled at $758. The Jaguars and Patriots are not unfamiliar post-season foes. The teams have played four times in the playoffs with New England holding a 3-1 edge. The only time Jacksonville won was in a wild-card game in 1998. If you want a chance to be in the last home game of the season at Gillette Stadium, TicketIQ.com can help. 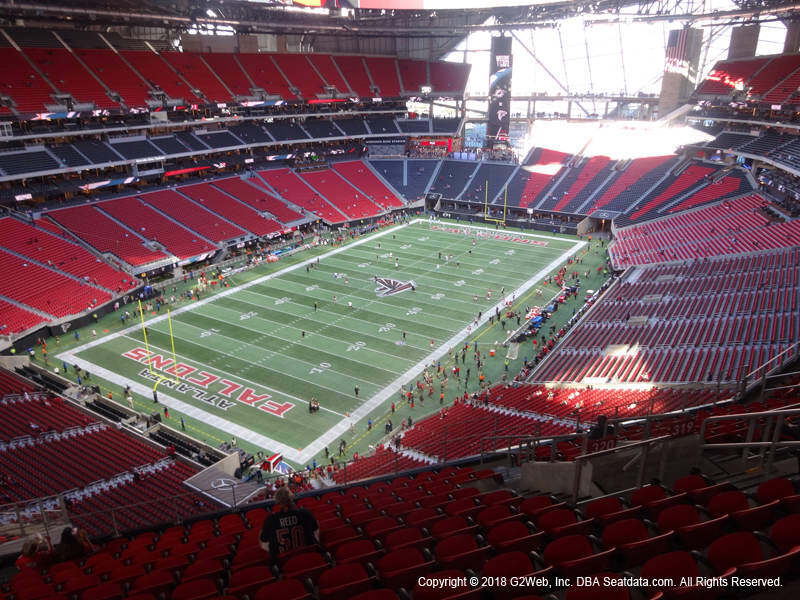 Among the company’s Low Price Guarantee listings, tickets can be had high above the action for $447 in Section 328, Row 24 or on the 40-yard line 23 rows up in Section 110 for $1,782.